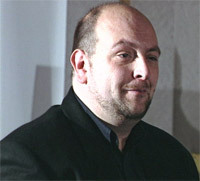 The man who was the creator of Blaze was Martin Sterling. A career martial artist, he learnt the art and science of fire walking on a research trip into Indian martial arts in late 1983. He studied the art at the feet of the masters in India for many months before returning to the UK in 1984. He enjoyed a wide and varied career which included working in the movie special effects industry, being a bodyguard, a stuntman, and a scriptwriter for children's TV programmes, as well as running his own martial arts organisation for many years. He pioneered and developed the concept of using firewalking as a vehicle for philanthropic fundraising in the mid 80's and Blaze been championing its cause ever since. A Keynote Speaker, Trainer and Corporate Consultant, Martin became known for his innovative approach to assisting people in getting results and creating rapid change for people who want to achieve more for themselves. His clients included people from all walks of life, mums, dads, local and national sporting teams, world class athletes, and corporate directors who are all committed to living their ultimate life.. Through his many years spent studying personal growth and development; he inspired thousands to adopt new concepts and ideas in a variety of differing business and personal situations. Martin brought special warmth to the business and helped people from many backgrounds to achieve their personal and professional goals. A confident self-starter, Martin is living proof that success is about the individual, and continues to tackle everything with a 'can-do' attitude. Here below are just a small amount of links to articles, reports and journalistic copy regarding our events. These links cover just a tiny proportion of the hundreds of events we do each year for registered charities and worthy causes.